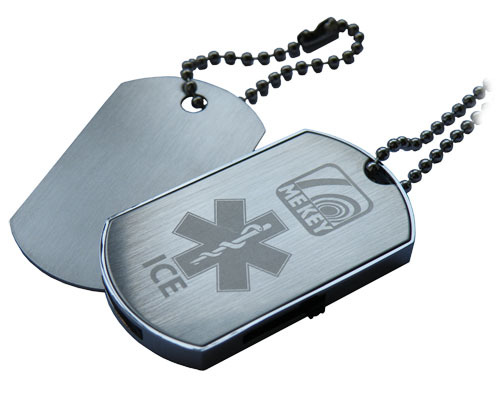 The dog tag style MEkey ICE tag is comfortable to wear all the time. With its tough aluminium case it can stand up to most weathers. With the paramedic star featuring the staff and snake it is highly recognisable. 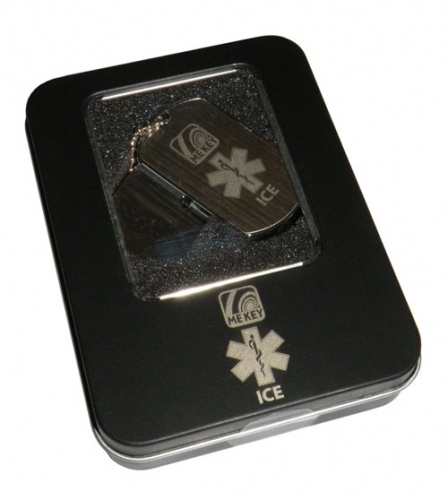 With its 1GB of storage capacity and weighing in at only 40g you will quickly forget you are wearing it. Compatible with USB 1.1 and 2.0. The PHR software will run on Windows ME/2000/XP/Vista/7 right out of the tin. Can be worn as a zipper tag, key ring or yes, even as a dog tag. As with all MEkey USB ID devices there is a built in file management system that allows you to upload scanned images (passport, id card, driving licence, mot certificate, vehicle documents, full insurance information, any vital information, etc) and documents which can then be securely encrypted. For more information on the bespoke MEkey PHR software select 'Software' from the menu above or click MEkey PHR Software. Comes complete with 14 1/4" length ball chain, a blank tag that can be engraved, and shipped in a smart black metal presentation box. 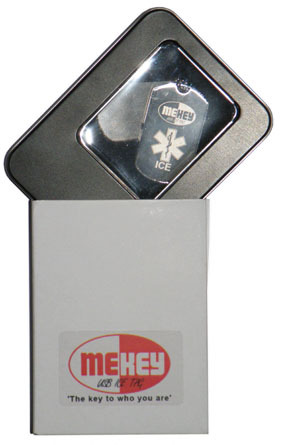 All MEkey Devices come with 2 FREE stickers. 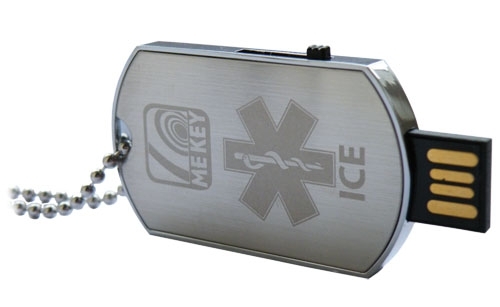 Our extra ice labels are strong, long lasting and work great outdoors, making them perfect for further highlighting you are wearing a MEkey ICE ID device.